As part of vinyl deck safety month, Tuff Industries has pulled together the top home improvements you can to complete increase the safety of your vinyl deck. No matter how old your deck is, you need to take care of it for long-term success and safety. 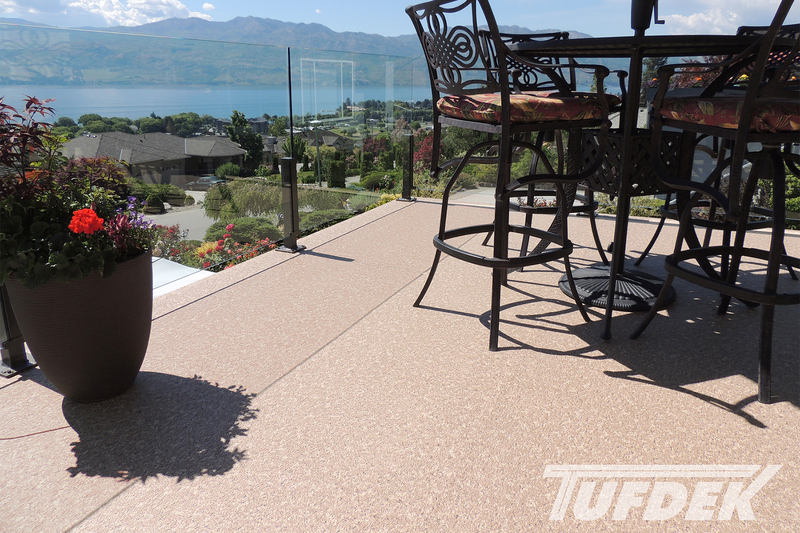 Think of the membrane, or vinyl deck surface, as your deck’s raincoat. When it’s in good shape it keeps everything underneath nice and dry. However, if there is even the tiniest hole in the raincoat everything under it gets damp, smelly, and can start to get really uncomfortable. In terms of your deck, a compromised vinyl membrane can lead to mold, rot, and can compromise the structural integrity of your deck. If there is any indication of a problem with the vinyl membrane you should get it looked at immediately and consider installing a new vinyl deck surface. Wobbly railings might seem like a minor issue, but all it takes is a bit too much weight and you’ve got a disaster on your hands. Sometimes it might just take the tightening of a few screws or loose bolts to fix the problem, but older railings and posts might need replacement. 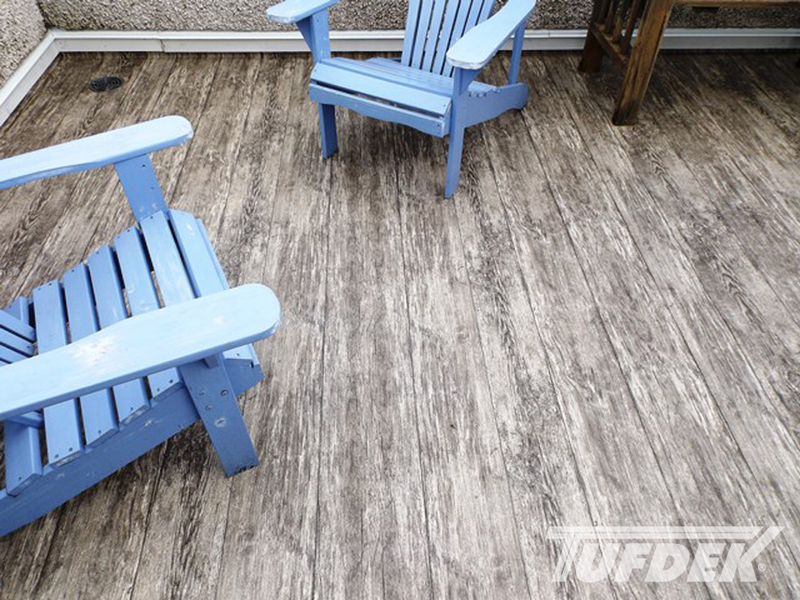 While your Tudek™ vinyl surface is absolutely waterproof, any standing water on your deck can be a cause for concern, particularly if it is near the house structure. Cleaning your gutters regularly and repairing leaks is a great first step, although you might need to take further steps (such as checking the slope) to ensure that water is encouraged away from your home. Once your gutters are all neat and tidy, you should check that water from rain or melting snow slopes off your deck, rather than running towards the house or pooling on the deck. If water is running towards your home, you’ll need a contractor to take a look and formulate a plan to correct the slope of your deck. 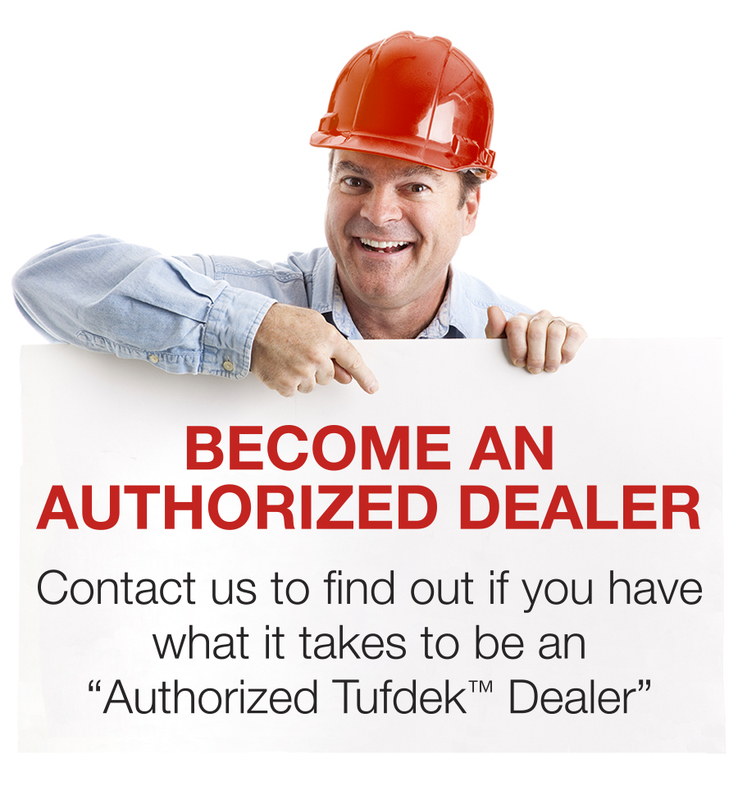 This might mean replacing your deck, or it might simply mean correcting the slope through other methods. Failing to fix slope issues could potentially lead to water damage later down the line, so don’t overlook water on your deck. How you get up and down from your deck is a major component – and also a major hazard. Loose stair treads and handrails, slippery steps, and clutter can all lead to potential disasters. Make sure that your stairs are in good shape, for wooden treads you might want to consider installing a slip-proof surface like Tufdek™ which will offer more traction on rainy days. Once your deck is in perfect working order, don’t forget to check in on it regularly – a safe deck today does not equal a safe deck next year. Decks do have a shelf life, the more you do to keep it safe, the longer it will last. If in doubt, consult a vinyl deck professional for quality advice.